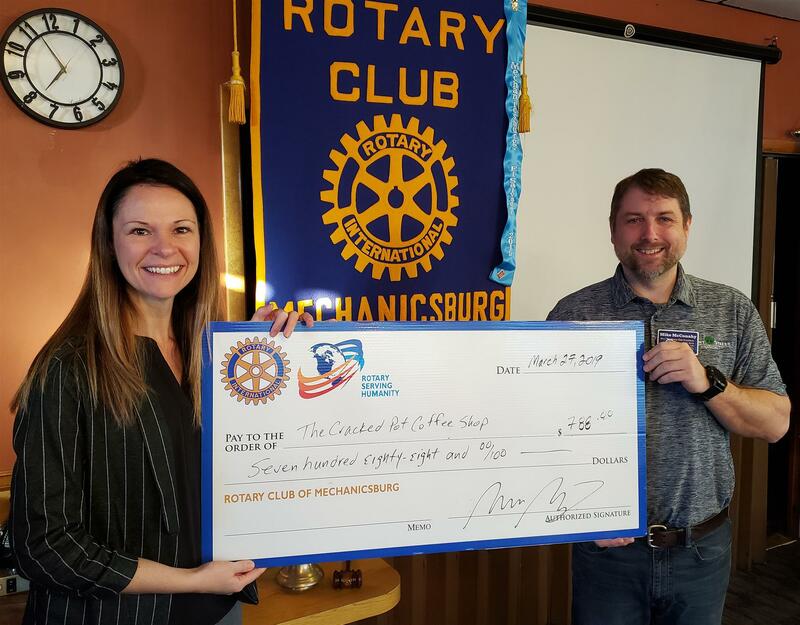 At the meeting of March 27, the Rotary Club of Mechanicsburg presented a check for $788 to The Cracked Pot Coffee Shop. At the club meeting of March 27th, the Rotary Club of Mechanicsburg presented a $788 check to Emily. The funds are from the annual earnings of the Rotary Club of Mechanicsburg Fund which is held at the Mechanicsburg Area Foundation as managed by The Foundation for Enhancing Communities. Each year, the club donates the fund's earnings to a deserving organization in the club's service area. More information about The Cracked Pot Coffee Shop and its amazing mission can be found at thecrackedpotcoffeeshop.com.